I've been working hard on trying to get in shape with the goal of having my "beach body" ready come summer time. Heck, let's be honest, I've been trying to have a beach body for the first time in my life. While the weight training is going well, the not-eating-all-the-Easter-candy-in-sight is pretty much a total failure. One of the exercises I've been working on is trunk rotations. There are a lot of varieties out there. This is the one that's closest to what I've been doing. In my case, the weights are on my ankles and my legs are much more straight. I started out doing this without weights, but found that as my core got stronger I was doing more and more of them. 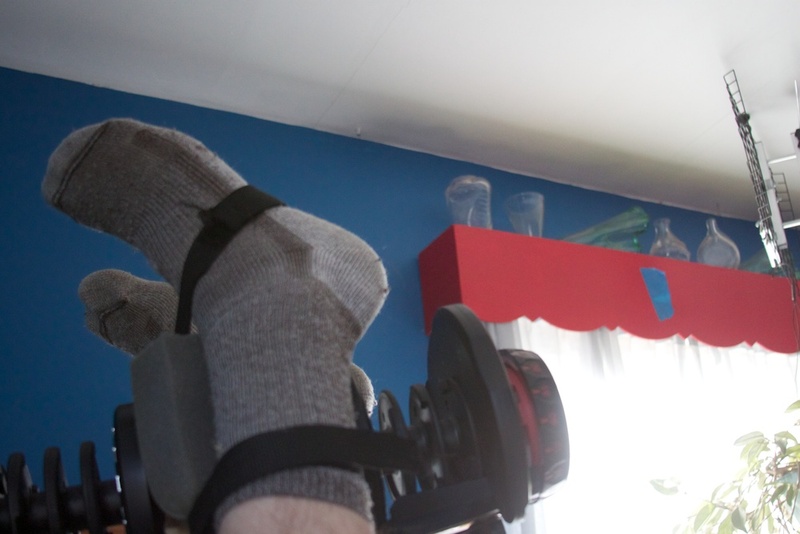 I picked up one of those 5 pound adjustable ankle weights, and that definitely helped... until 5 pounds wasn't enough. So I bought another... and then another. It was starting to get ridiculous, and I was running out of ankle. I just needed a way to attach more weight to my ankles. "Hold on" I thought to myself. 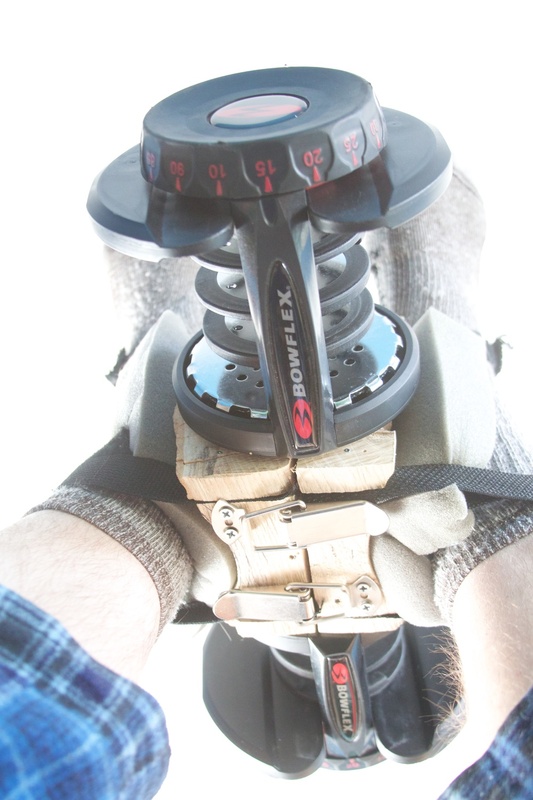 I have those nifty adjustable Bowflex weights. There must be a way of using them. Well one old log and some free-hand band-sawing later and this is what I got. It's definitely not pretty, but it gets the job done. Now if I can just lay off the jelly beans. Fortunately, we're about to run out. Midnight Oil and Segmented Sleep.